4-minute walk from Ginza Exit of JR Shinbashi Station. 1-minute walk from Exit 1 of Shinbashi Station on Tokyo Metro’s Ginza Line. Along Chuo-dori Street close to HAKUHINKAN TOY PARK. 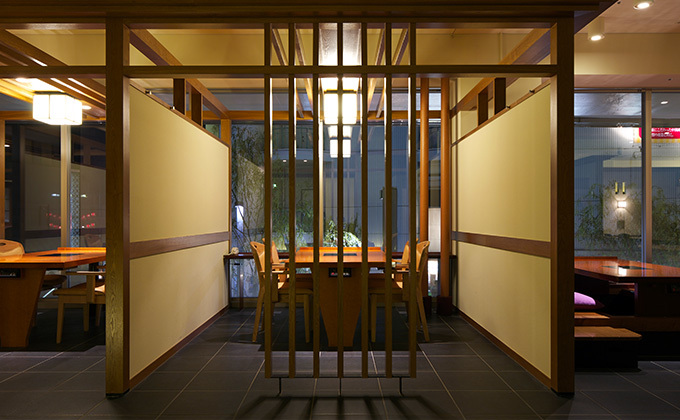 The interior of the restaurant, built in the style of a tea-ceremony arbor, has both table seats and seats in sunken-kotatsu style, in a reposeful atmosphere created by the texture of plain wood. Private rooms are available, too. 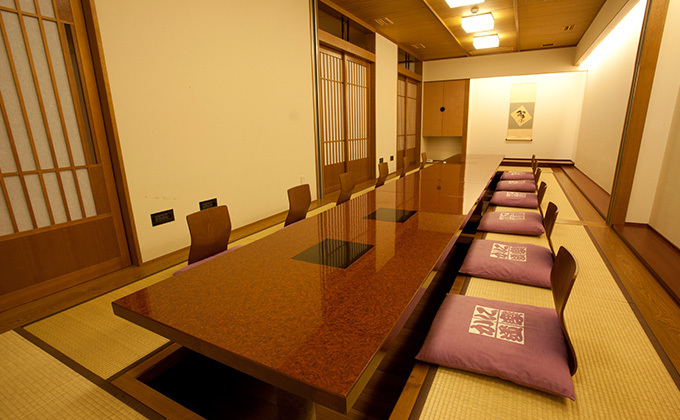 We have various kinds of private rooms for four to 28 people. You can use them for different purposes in accordance with your needs. But, please make reservations in advance, as the private rooms are limited in number. How to savor our signature dish Kanisuki. When the special broth has come to a boil, first put in the vegetables that take the longest to cook through. 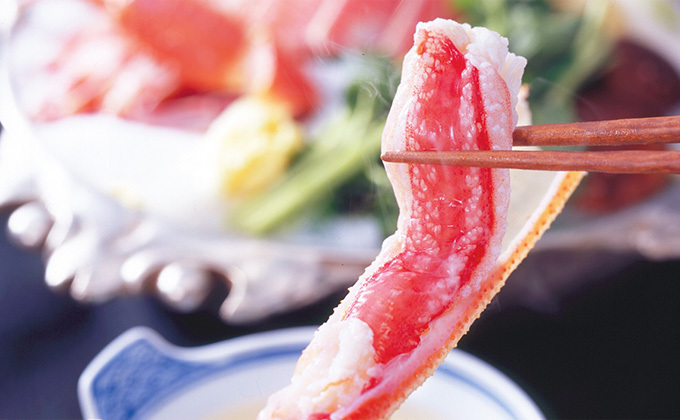 The crab is ready to eat when it has plumped up, usually after a few minutes. Savor the ingredients together with the broth. The rice porridge (by mixing cooked rice into the leftover broth and ingredients) you make after you’ve finished the hot pot dish tastes good, too. 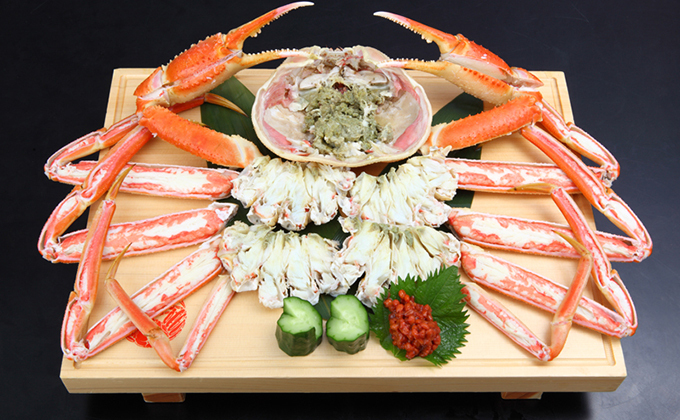 All the crabs we serve at Kani Douraku are easy to eat, because the meat has been taken out of the shells.